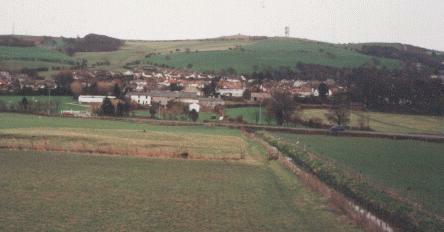 Above: the castle mound as taken from the railway bridge to the north of the castle. Photograph kindly provided by Jessica Griffiths, who notes that "Prestatyn Castle is only about one hundred yards from my school". Prestatyn Castle occupies a low-lying position, but still commands a view across much of the flat coastal plain. It consists of the remains of a motte c.20m in diameter with surrounding ditch, and a bailey which, unusually, encloses the whole of the motte. Excavation in about 1913 revealed a substantial stone wall 1.2m thick surrounding the bailey, inside its ditch, but no trace of a structure on the motte. A slightly raised causeway approaches from the south (away from the railway), but no detail is now visible where it meets the bailey; there is no obvious entrance gap in the motte ditch. A rubbing stone for animals on top of the motte is presumably modern. The castle was probably built by the Norman Robert de Banastre about 1164, and was destroyed by the resurgent Welsh under Owain Gwynedd in 1167. At some point, a Robert de Banastre (the name persisted for several generations) decamped with 'all his people' from Prestatyn to Lancashire. In 1279, when the area was once again under English control, part of the castle remained, but litigation in this period focused on the manor and nothing further is heard of the stronghold. We also have the following information on Prestatyn Castle kindly provided to the Castles of Wales web site by Mr A C Evans, Teacher of History at Prestatyn High School, with help from his Year 7 and Year 8 pupils. E-mail: mrevanshistory@yahoo.co.uk. 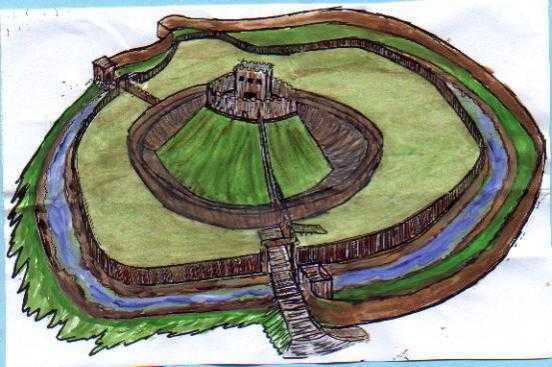 Henry II built a motte and built castle at Prestatyn in 1157. It was run by Robert Banastre for 3 and a half years. He enlarged the township before eventually migrating with the Normans to Lancashire. For the next seven years the castle was run by Robert de Crevecoeur. 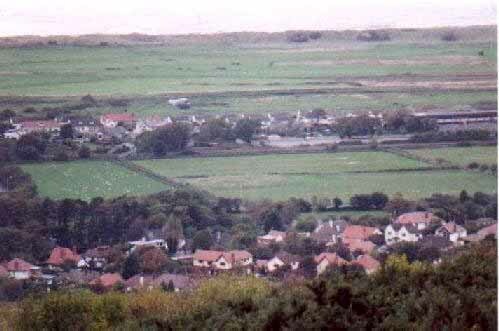 By about 1167 Prestatyn was a small medieval commote, with numerous cottages around the castle between Nant Hall and Nant Mill area. The garrison at Prestatyn belonged to earl of Chester and it had its own market place, mill, blacksmith's shop and granary. There was even a 'harbour' nearby at Prestatyn Gutter (close to present day Barkby bridge) which no doubt the inhabitants used for fishing purposes. However, the castle and its garrison were destroyed by Owain Gwynedd in 1167. The History of Prestatyn' by D W Harris (Rhuddlan, 1989). Below: an illustration of how Prestatyn castle might once have looked, and a photo of Prestatyn castle clearly illustrating the landscape of where the castle once stood. Photograph & drawing copyright © by Mr A C Evans.